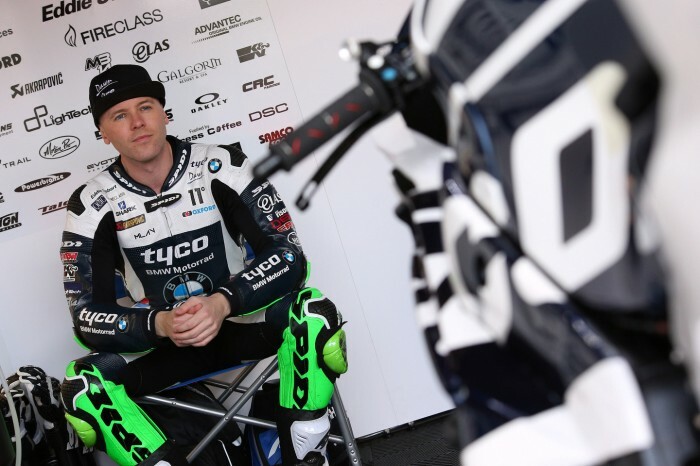 Michael Laverty admits he is disappointed not to have been able to hold on for the win in today’s second Bennetts British Superbike race, especially after he felt he had the most grip early on. The Tyco BMW rider led for much of today’s 22-lap race as the heavens opened at Brands Hatch, but had to settle for third when Be Wiser Ducati’s Glenn Irwin and winner Leon Haslam charged past him three laps from home. 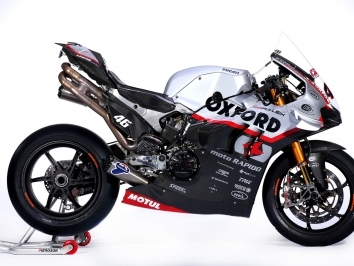 Following the wet start to the season at Donington Park a fortnight ago, Laverty felt his bike was perfect for today’s worsening conditions, but soon discovered it wasn’t as strong as he’d expected. “Early on I thought ‘right, I’m going to the front’, so I pushed hard and made a lot of hard passes. I think at that point I had better grip than anyone around me. The track was really slippery but I felt good. Laverty became aware the gap behind was coming down significantly, and says he knew with just a few laps to go that the win was slipping from his grasp. “I tried to be as consistent as I could but I knew the boys were going to be there. I am a bit disappointed not to have been able to get the win but those two were fighting so hard, taking chances.